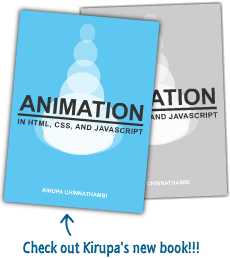 You have two ways of creating animations in Flash. You can create them using the timeline, or you can create them using code. For code-based animations, I've always written about using variants of EnterFrame. One thing I've never talked about is using the tween class to create animations, and it's time to change that with this tutorial. This tutorial is also an updated version of the Flash 8 tutorial that TheCanadian wrote a few years ago. The actual movement of the circle, including the slight pull back, was created using just one line of code thanks to the Tween class found in AS3. In this tutorial, I will explain how to use the Tween class to create an animation using code. Before diving into the code though, let's look at tweening using the timeline. Right now, you have two keyframes - one at Frame 1 and another at Frame 20. If you happen to scrub your timeline playhead between those two frames, you will see nothing really happening. You certainly don't see an animation. This time, you actually see the intermediate frames generated between your starting and end frames located at Frames 1 and 20 respectively. Now you have an animation! Why did I spend this time explaining something that you probably already knew? The reason is I want you to look at what you did in greater detail. To create a tween, you need a starting point and an end point. In our case, that was designated by the keyframes you placed on Frame 1 and Frame 20. The part where you go from having two discrete changes to a smooth animation showing the transition between the changes is where tweening comes in. Tweening is short for in-betweening, and true to its name, it is where you generate the intermediary (in-between) frames that appear between your starting point and end point. In our case, those intermediary frames show the circle's progression from the left side at Frame 1 to the right side on Frame 20. All of those frames that make up the progression are taken care of automatically thanks to tweening. Ok, now that you saw with "renewed enthusiasm" the parts that make up a motion tween when using the timeline, the rest of this tutorial where I try to map between what you see here and the code you'll see in the next page will make a lot more sense.